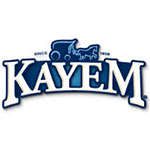 Kayem Meats | Favorite Foods, Inc. When Kazimierz and Helena Monkiewicz emigrated to the U.S. from Poland, they didn’t just bring over their dreams for a better life, they brought their love of creating and sharing their favorite traditional meats and recipes. 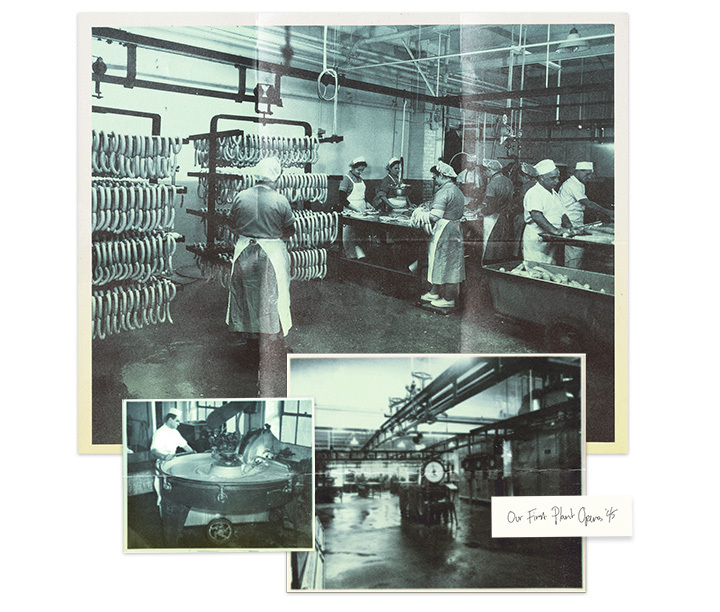 Kazimierz Monkiewicz opened a butcher shop and began making and delivering his handmade sausages; sharing his heritage and recipes from the old country with his fellow Bostonian neighbors, his friends and to his friends’ friends. Staying in the “neighborhood” has always been important to our family and our tradition. When you have great community, you’re a fool to move. So we stayed local and found a location that could handle the rising demand for our crafted meats. Who better to represent an iconic brand that came from Poland than an iconic woman who also represents the country? A proud moment for Kayem and a proud moment for the people of Poland. CURRENT HQ OPENS IN CHELSEA MASS. 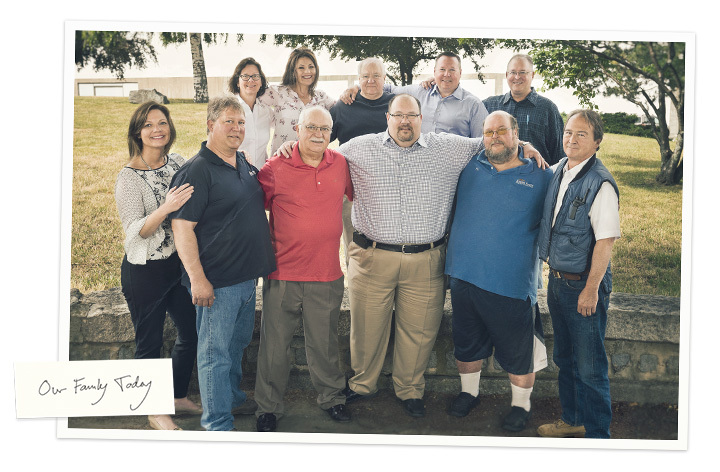 By streamlining traditional methods and re-envisioning some exciting new flavors to meet the demand of our customers, we have solidified our place as one of the countries leading brands of hot dogs, sausages and deli meats. 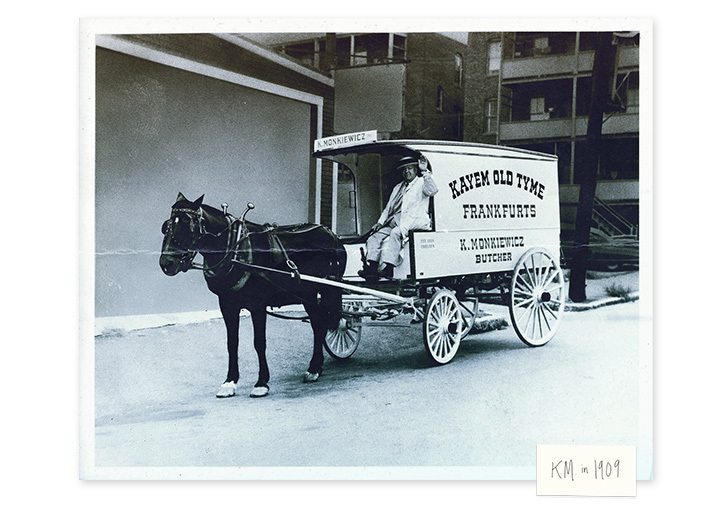 For over a century, Kayem has been owned by the Monkiewicz family, employing many other families for multi-generations, still in its hometown of Chelsea. We can’t thank all of our loyal customers enough for continuing to love and share our foods. There’s nothing like a game at Fenway Park. The sights, the sounds, and the smells make an experience unlike any other. Enjoying a Fenway Frank at a Red Sox game is a must, but when you can’t be there in real life, you can at least feel like you are when you’re enjoying the unique tastes and flavors of Fenway Franks. 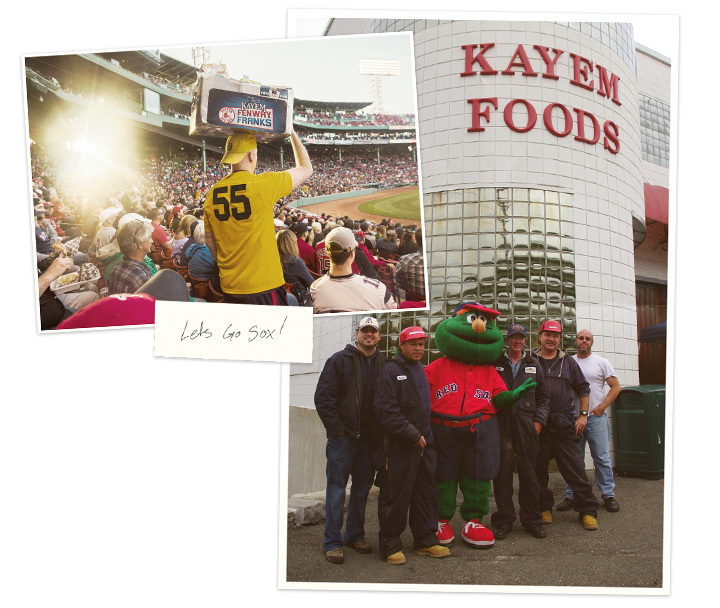 Today, Sox fans in New England can fire up the grill and bite into a taste as famous as Fenway Park, right at home. 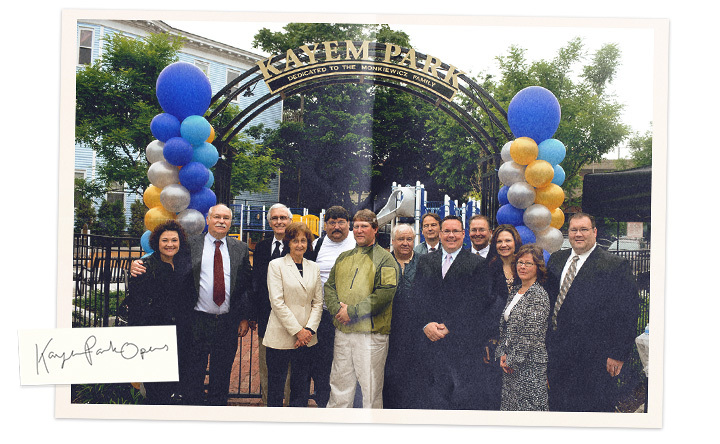 We couldn’t be more proud that Boston has given us the honor of being the most celebrated frank around. 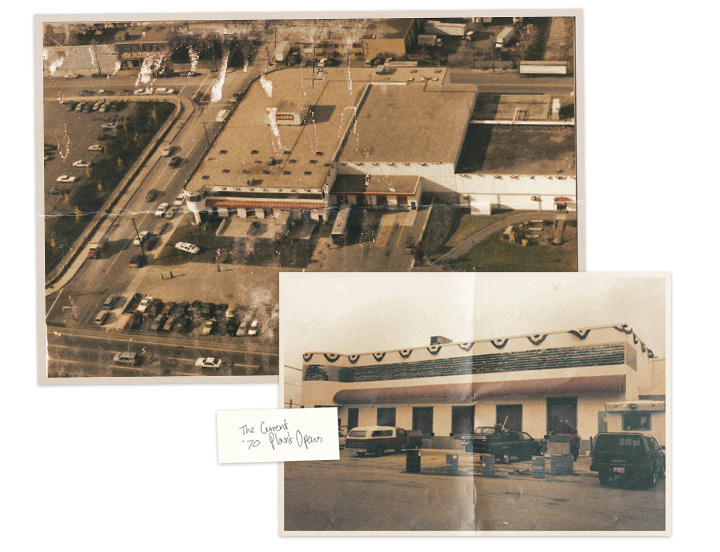 Well over 100 years later, Kayem Foods is still a local, family-owned and operated business with many of the Monkiewicz family members still working in all departments from factory to front office. We still have that small family feel and we’re still right here in Chelsea, Mass. employing so many of our friends, neighbors and family who share our fiery passion. 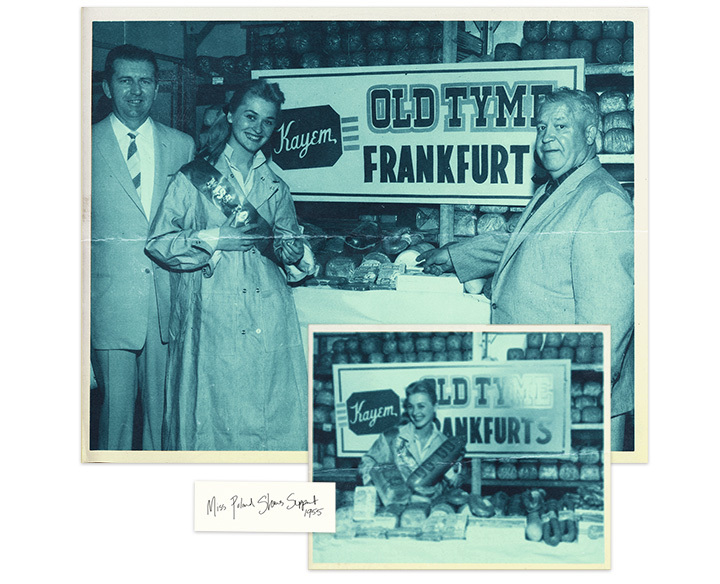 Four generations later, our family is pushing our craft to the next level, tweaking recipes to have the perfect flavors and extending our expertise into delicious new areas. But if there’s one thing we’ll never change, it’s our “Old World” food philosophy: to only make food for your friends and family that we would share with our own.